Evelyn has been enjoying her Puddle Duck's lessons for 4 weeks now (where does the time go!?) and she has honestly come on leaps and bounds since that first lesson. After mentioning about a sign being placed outside to make it easier to find, we were thrilled to see a lovely big clear sign directing us to Puddle Ducks on our arrival! 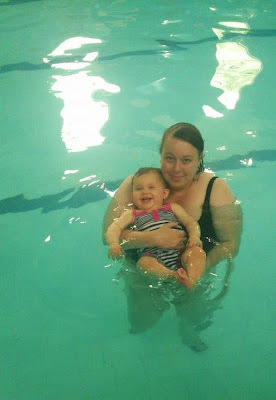 The changing rooms are always lovely and warm as is the pool so no worries about babies getting cold! Jen our teacher has been lovely as I am sure are all of the Puddle Ducks teachers, she is fantastic with the babies and you can tell by the way she runs her classes she is enthusiastic and really cares about all the children at Puddle Ducks. Having such a lovely teacher really does put your mind at ease especially when taking your children swimming for the first couple of times when both you and your child may be nervous. 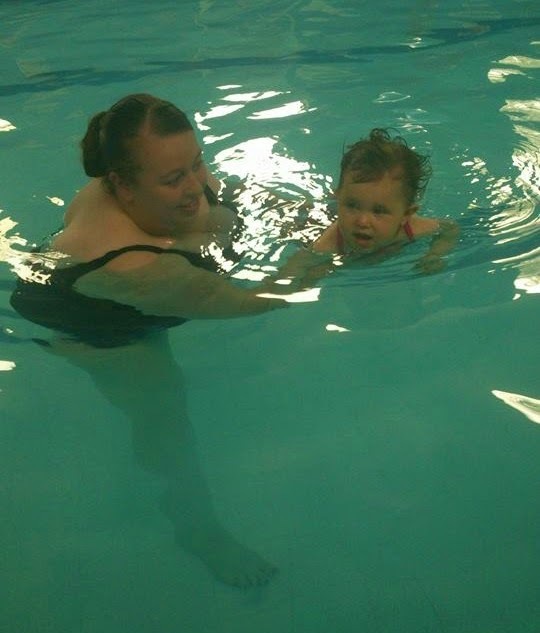 In our lessons Evelyn has been practicing lots of submersion and turning techniques as well as exhaling water and blowing bubbles. Only last week Evelyn, with a little help from Jen swam under water through a hoop and out the other side to mummy kicking her little legs behind her bless her! 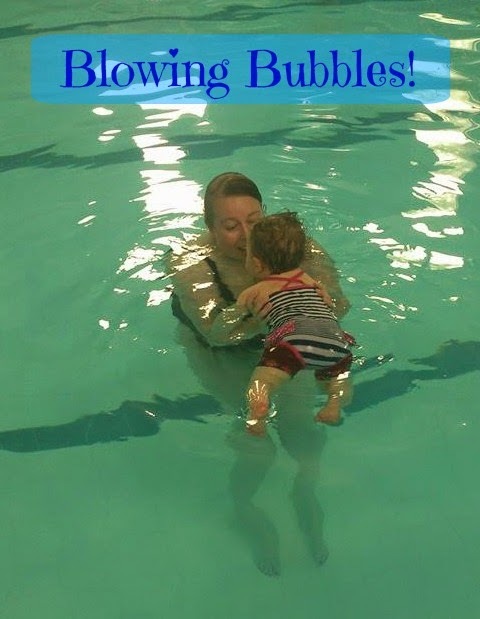 The classes cover lots of techniques that as well as learning and perfecting in class you can also take away from the pool and practice in your own time, as well as really focusing on babies confidence in the water being the best it can be. Evelyn has started dipping her mouth in to the water to copy me when blowing bubbles. For us so far Puddle Duck's swimming lessons have been great, they have been fun and Evelyn has learnt through fun, song and rhyming as well as being on her way to learning some basic techniques that could potentially one day save her life! 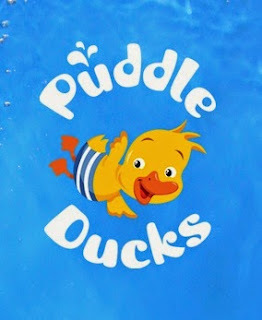 If you are undecided about joining Puddle Ducks with your little ones I would say quite literally just take the plunge and do it! From what we have experienced so far we are sure you will love the lessons just as much as we do! Make sure you come back and check out how she has got on in another few weeks. 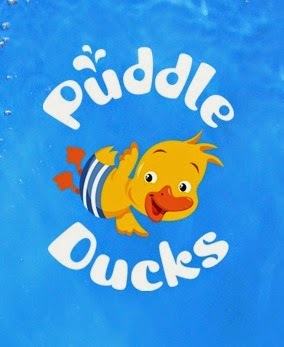 Why not pop over to the Puddle Ducks website and check out what lessons they have to offer to cater for you - www.puddleducks.com. Sounds like a great idea - it definitely makes sense to teach children to swim from a young age.